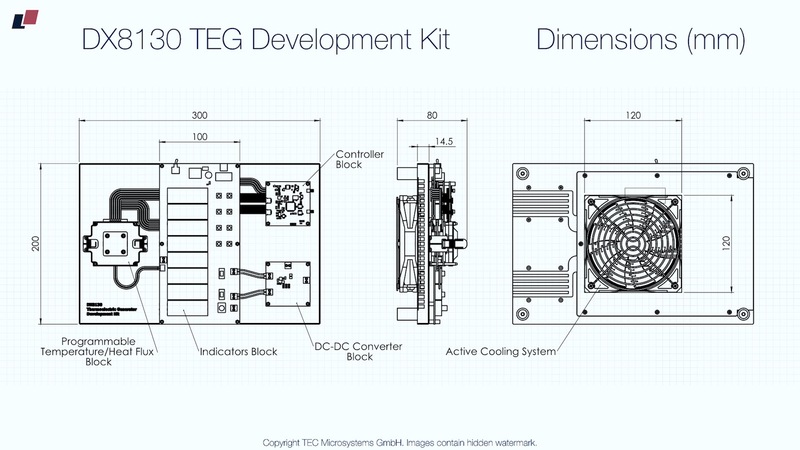 The Thermoelectric Generator Development Kit DX8130 is a tabletop laboratory for studying thermoelectric micro-generators (TEGs), testing their performance and operating parameters, TEG development and optimization of thermal energy conversion efficiency and accurate testing of TEGs in real operating conditions. It is useful both for development of practical devices and laboratory studies. 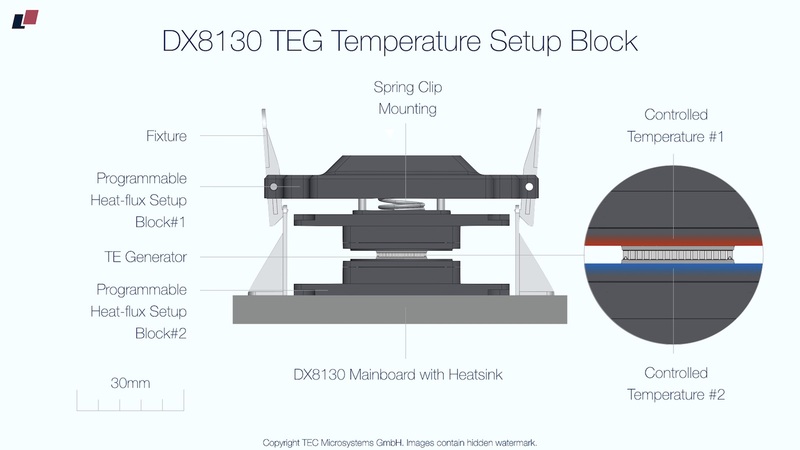 DX8130 Thermoelectric Generator Development Kit is unique equipment having no analogues with same size and number of features. It is a powerful assistant for TEG designers, experienced users and researchers in the field of thermoelectric energy harvesting, especially in green energy harvesting applications. 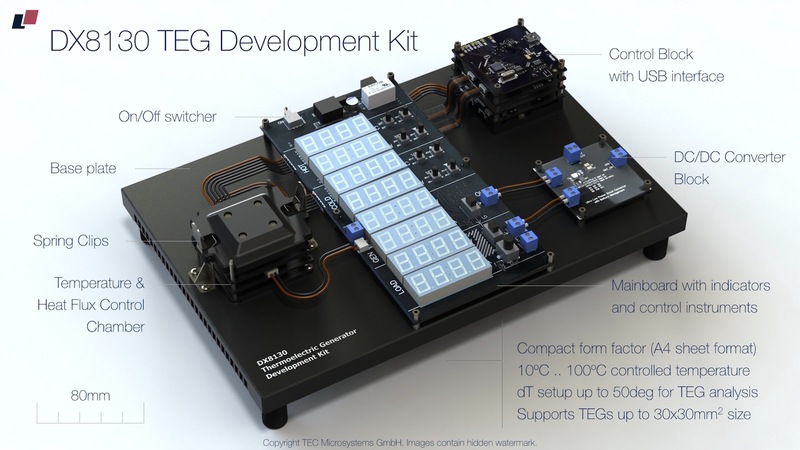 DX8130 Development Kit is based on an open circuit and enables constructing "on the table" prototypes of thermoelectric energy harvesting devices with thermoelectric generators. 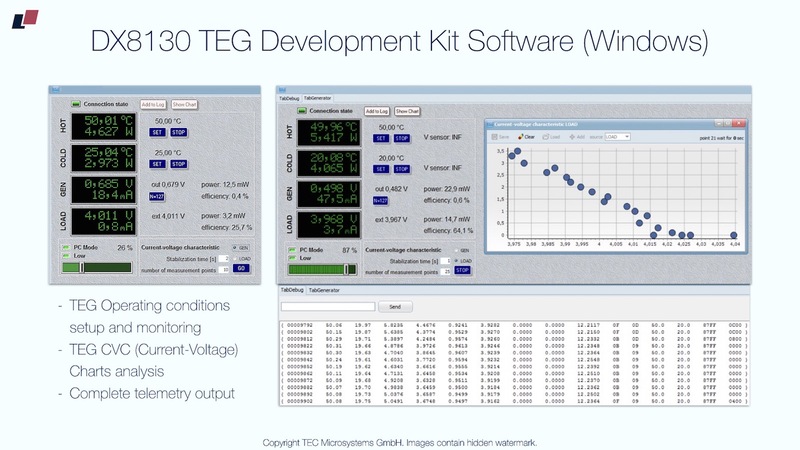 High-performance miniature thermoelectric generators samples are available in the supplied Development Kit set. Very simple interconnections like in electronic snap circuits allow building a thermoelectric converter circuit with DC/DC converter. Modules of modern DC/DC converters are included in the Development Kit. DX8130 can operate in stand-alone mode or being connected to PC with additional control features using DX8130 software (included with set). The controller modules, fine measurement electronics and precise programmable heat sources, computer remote control and data logging provide modelling of operation of assembled thermoelectric energy harvesting device prototypes in a wide range of operational conditions. The measurement electronics provides data logging of acquired test data. DX8130 software provides data processing, investigating standard performance parameters and plots, such as volt-ampere characteristics, temperature dependences of performance parameters and others.